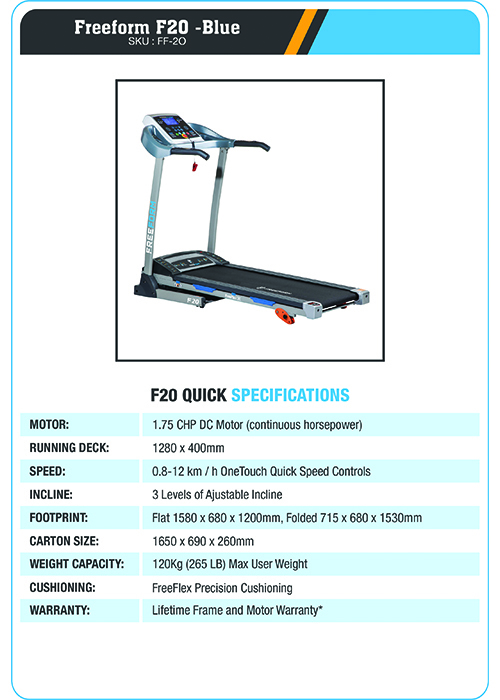 The FreeForm F20 will have you shedding any unwanted pounds and looking toned in no time. 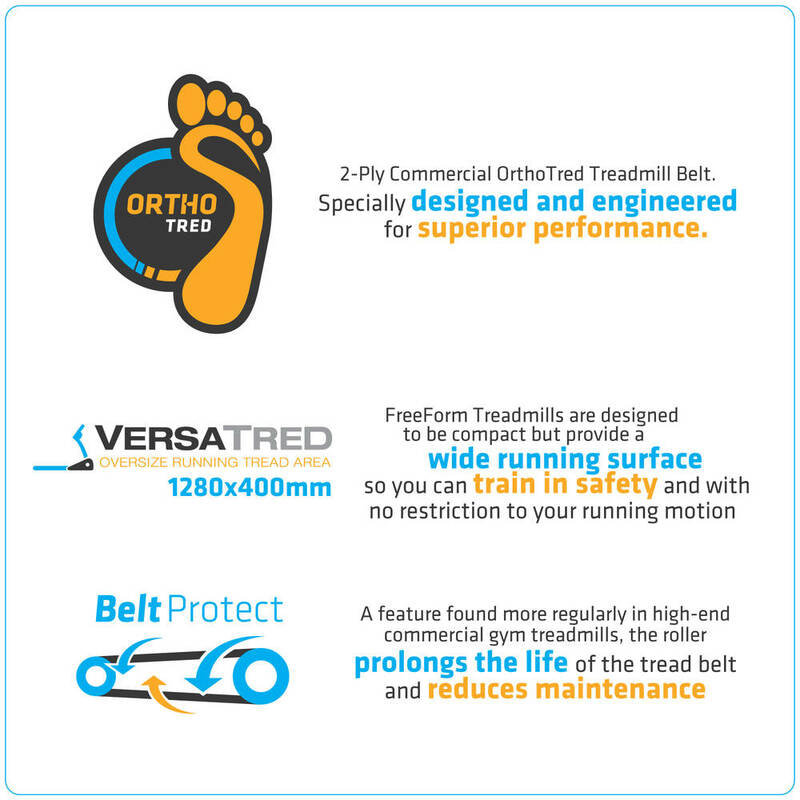 Traditional treadmill features meet modern technology so your exercise is quick, hassle free and most importantly, FUN! 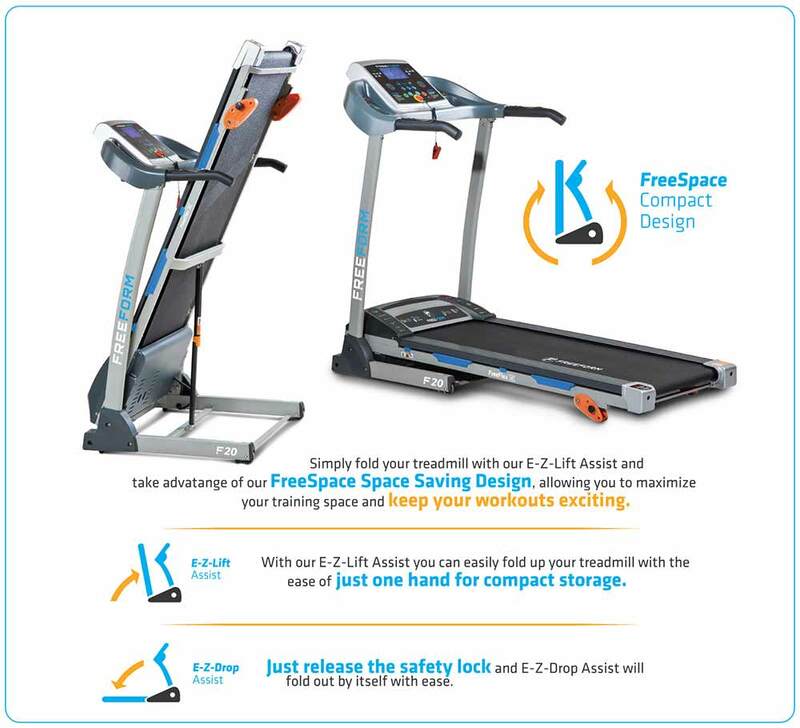 Now you can lose weight, tone your figure and have a great time while you’re doing it when you own a FreeForm F20 Treadmill. I was hesitant about buying this product at first, considering the color, but it adds a nice touch to my gym. I like it. 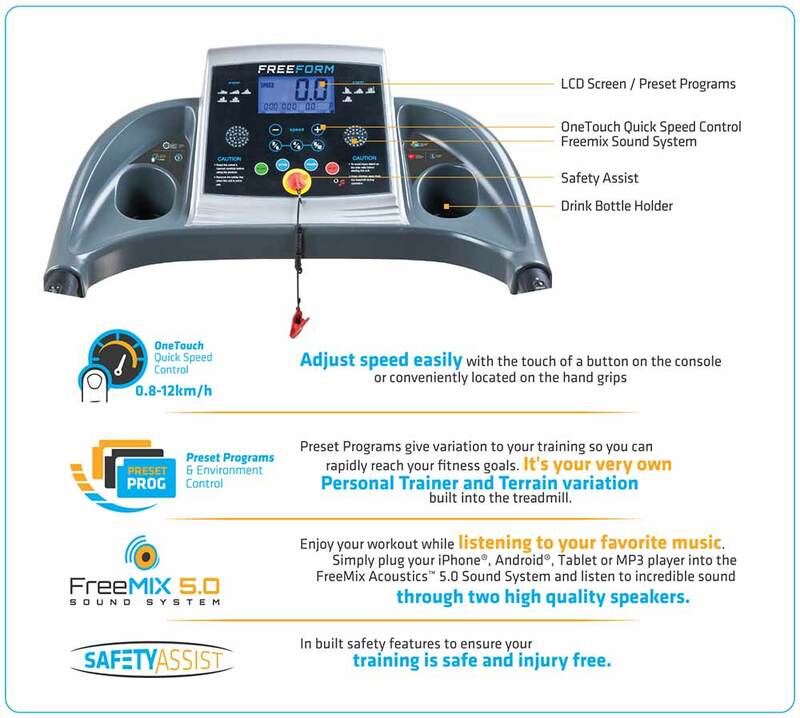 Got my son this treadmill for his 18th birthday. He's been asking for it since he was 17, and now that he haves it, I can't see him anywhere else. Thanks Gym and Fitness for the great assistance and delivery! Been a busy bee, so couldn't do outdoor running. Got myself the Freeform F20. 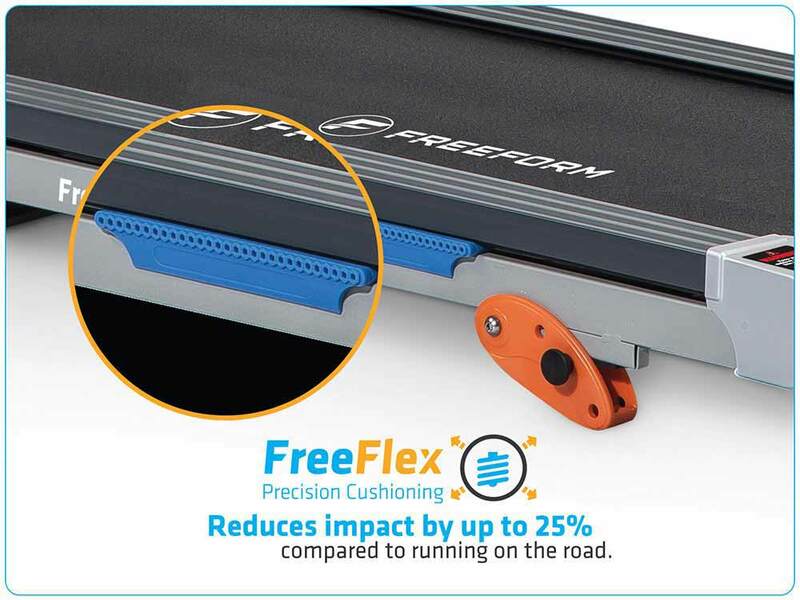 Compact Design, fits my budget, and gives the cardio boost I needed; what's not to like?